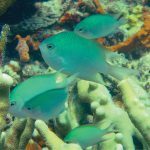 Home / Fish / Q: What Is This Triggerfish? A: Not Sure Yet. 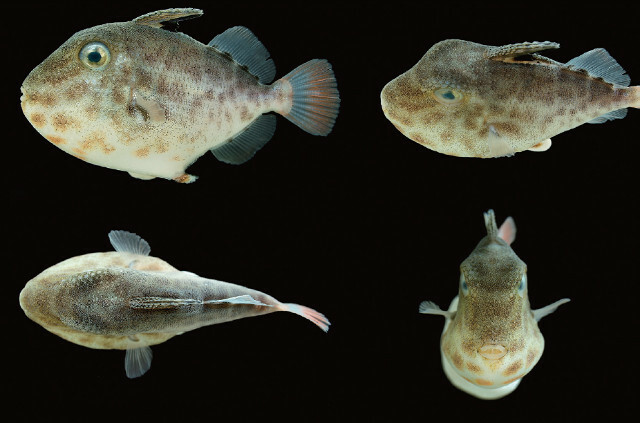 Last week, a number of small and rather unusual triggerfishes were collected from the Philippines, but their exact identity has remained a bit unclear. 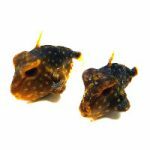 They were obtained from an obscure oceanic atoll known as Scarborough Shoal and were found swimming amidst numerous large individuals of the Goldenback Triggerfish (Xanthichtys caeruleolineatus). 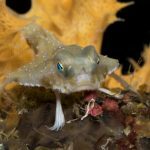 For this reason, they were initially identified as that species, but the juveniles of this genus are very poorly known and, as we’ll soon see, there may good reason to question this determination. To understand what I mean by this, we need to bring another seemingly unrelated triggerfish into the discussion, Xenobalistes. This enigmatic group is ostensibly comprised of just two tiny species, neither of which are collected with any regularity. For as long as we’ve known about them, their unusual morphology and diminutive dimensions made them one of the biggest mysteries in the balistid family, but, as I reported not long ago, it appears that the bizarre Xenobalistes is really nothing more than an early juvenile stage of Xanthichthys. 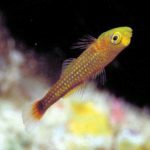 We know this from a combination of genetic study and aquarium observation. 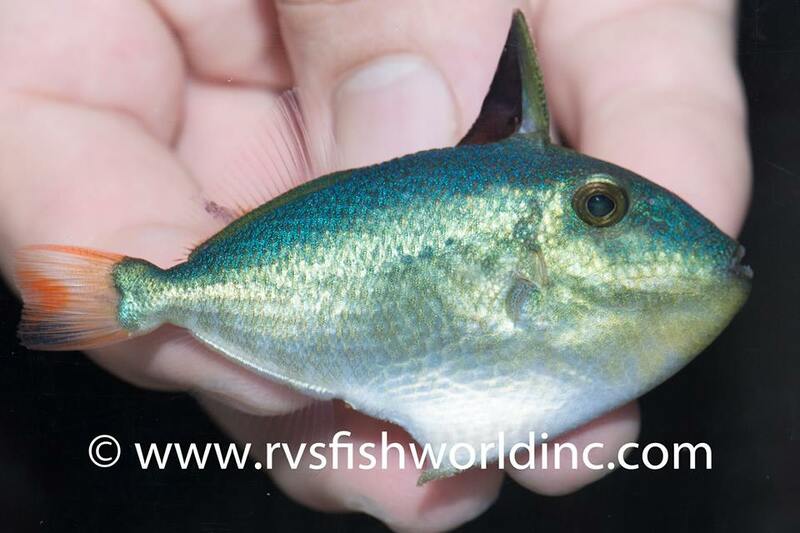 Taxonomist Phil Heemstra actually managed to successfully raise one species, Xenobalistes punctatus, from a tiny, inch-long juvenile into its adult form… the Goldenback Triggerfish (Xanthichthys caeruleolineatus). The change in morphology and patterning that happens throughout its development is truly remarkable. 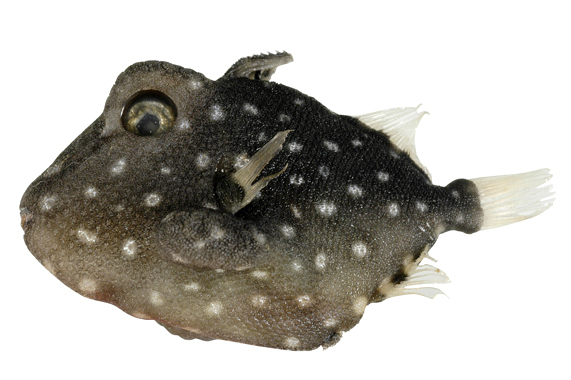 During its Xenobalistes-stage, the fish is darkly colored and adorned with a constellation of small white spots throughout its body, as well as possessing the idiosyncratic pectoral bulges which make the smallest juveniles so unique. At some point, the body lightens considerably and the spots disappear; however, when stressed, a similarly maculated patterning reappears, which can be seen in the video below. Smallest one I have ever seen at 8 inches! The other species, Xenobalistes tumidipectoralis, has a very different patterning that is far closer to our specimens. 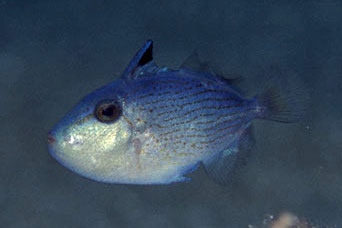 This consists of a dense spattering of olive-hued markings set against a silvery background coloration (though, as aquarium observations of the Filipino specimens has now confirmed, this is actually a nocturnal or stress coloration, as the fish takes on a mostly silvery appearance while at rest). Again, few specimens have ever been encountered, but, fortunately enough, we do have good genetic data for it. 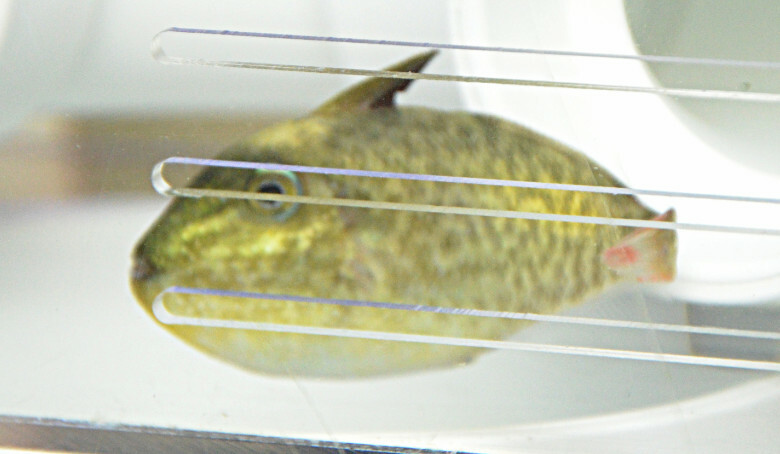 An entire mitochondrial genome was sequenced in 2008, and, using available data from the genus, we can confirm that it is actually identical to the Linespot Triggerfish (Xanthichthys lineopunctatus). 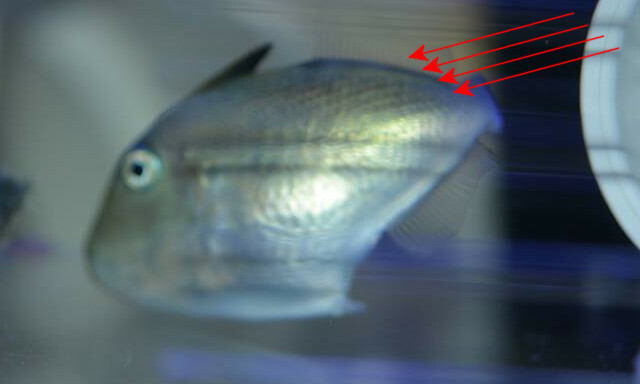 If we compare our mystery fish to images of that species which have been documented at a comparable size, it seems at first glance that the diagnostic lines along the side of the body are absent, but, if we look closely at the specimen shown in the video above, we can actually make out a faint trace of this feature. 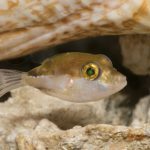 So, are these unusual juveniles X. lineopunctatus or X. caeruleolineatus (or perhaps even X. auromarginatus, the Bluethroat Triggerfish, whose juveniles remain poorly known)? We probably won’t know for sure until a specimen can be grown into adulthood. Thankfully, one of these has found its way into the hands of Ted Krupman—a well-known balistid connoisseur and all-around swell guy—and I’m sure we can expect regular updates on it as it progresses. For now, my best guess is that these are juveniles of the Linespot Triggerfish… unless they’re not.